sides | Om nom nom! This was a pretty pasta salad for our Kentucky Derby party this year. Colorful and it had a lot of flavor. 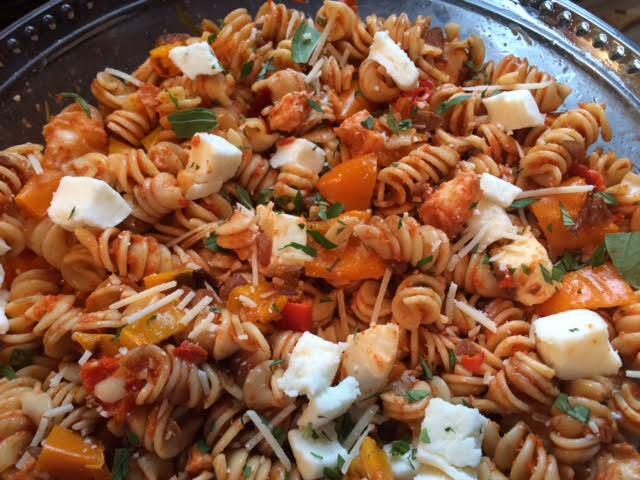 And of course pasta salad is always great for a crowd. This is a fun take on Chipotle’s cilantro-lime rice, and it was a tasty side with beer can chicken. If you tossed it with some peppers and some tomatoes, it might also be a good lunch salad, too. 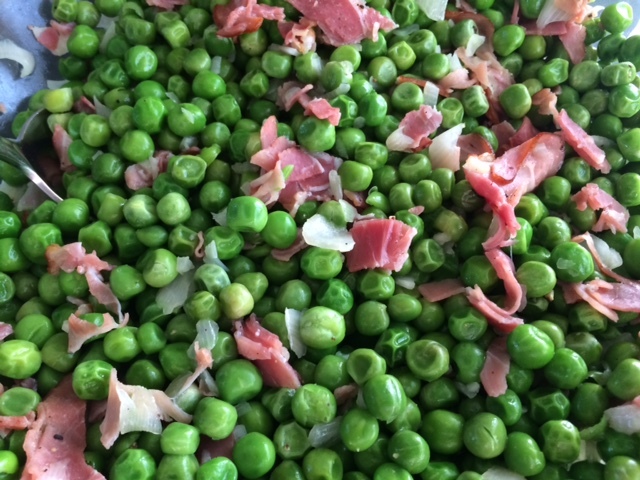 Found somewhere in the depths of Pinterest, this was another very simple and pretty Easter size capitalizing on Spring veggies (okay, I had to use frozen peas =/ But still). The salty prosciutto went well with the ham, of course. Definitely a side I would make again for a crowd, quick and attractive. This was a very pretty side dish for Easter. 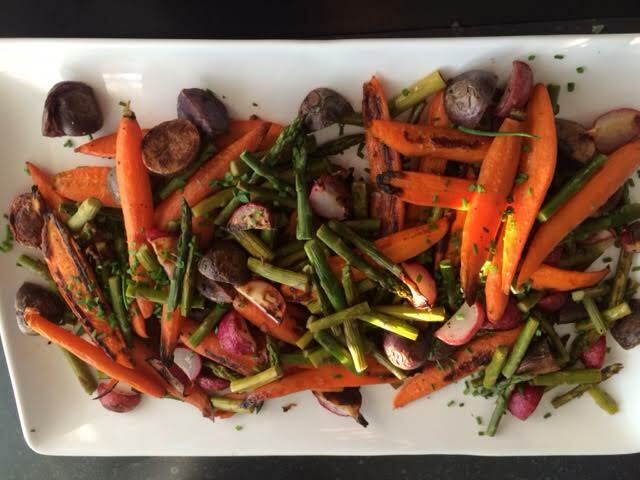 Roasted veggies are always great, and I really liked the touch of white vinegar. This is a Cooking Light recipe, and the only alteration I made was to use baby purple potatoes instead of fingerlings, and to lower the cooking temp to 400 to accommodate other dishes I had cooking (it was originally 500, which seems pretty high to me). We enjoyed this and the leftovers also make a nice lunch. 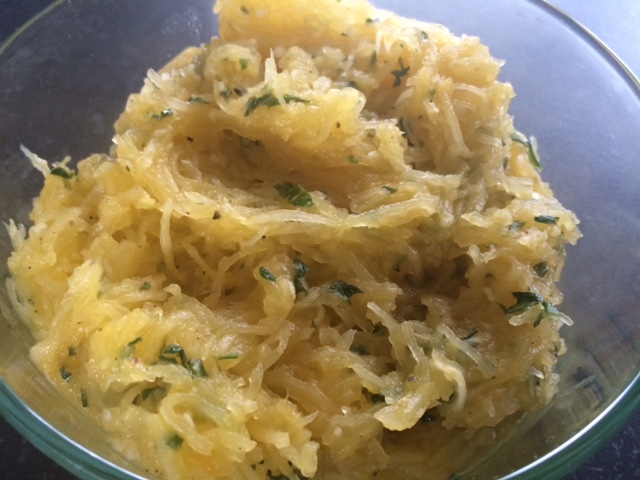 This isn’t really a recipe, just a tossed together seasoning for spaghetti squash. I intended this to be a side to zucchini lasgana, so was thinking garlic-y flavors. I roasted the squash for about 40 minutes, let it cool, scraped it out, and then tossed it with 2 crushed garlic cloves and some basil and parsley. Topped it off with salt and pepper and it was pretty good (but very garlicky). 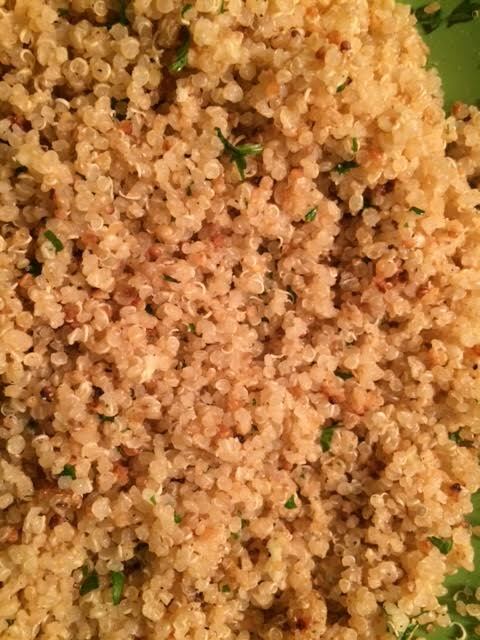 This was a really tasty side salad using summer veggies – goes really well with a grilled entree! I got this from Chow and made as is other than halving it for two people. 🙂 At its original size, it would be a nice picnic/BBQ side dish. Recipe below is for that portion size.